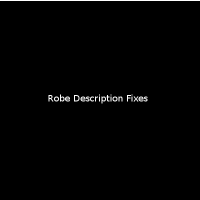 Strange glitch with jolees robes. 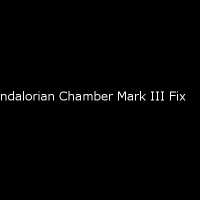 This mod fixes the Mandalorian Chamber Mark III doing 3-17 damage instead of 2-16 as in the description. Hopefully it adds a touch extra balance to your game, enjoy Use it however you like, just throw a mention my way. 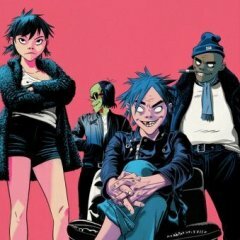 I know this is the wrong forum but it is the one with the most recent activity. I am currently stuck on my third world Taris-Dant-Korriban.There is an enemy I need to kill the problem is she is invicible. I would take a guess and say the "Robes on sith in korriban" Mod is responsible or reacting badly to K1R maybe. I don't know. Either way I need a way to kill this enemy or atleast alter her code to maybe give her 1 health so I can finally move on. I have tried using KSE to add the insta-kill pistol but It does'nt show up. For some reason my console is on strike aswell even though i have EnableCheats=1 + EnableConsole=1. Any suggestions? P.S - Also while in the market for help. I have moved some saved game files to a fresh install. They work fine when i load them, and Also If i save them I mantain those saves whilst my game is open but then after i close my game I have to go to Appdata/Local etc.. To find the saves as they are not actually overwriting the original saves and If i just opened the game, The saves would be exactly the same as when i copied them over. Hey guys, After my fight with the Sith Assassins, the ship is empty of any crew. 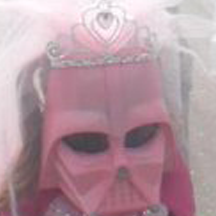 The only crew I had was the party that was with me when I fought the sith. I used KSE to get Kreia in my party, which allowed me to do the dialogue between myself and her and myself and atton (not having them both in the ship screwed with their dialogue - also, a bunch of the movies (harbinger blowing stuff up) got skipped. Fast Forward 10 hours in, same problem. My party is larger now, and none of them are aboard. I still automatically lose my party upon entering the hawk, am in the correct location module, and can use the navicomputer without issue. I have had no other issues with party members spawning anywhere. Does anyone have a fix or an idea? So I finally ran into the dreaded grass glitch in Knights of the Old Republic on Taris, in the Undercity map. It basically causes the grass textures to go haywire on newer video cards. I hear it effects AMD/ATI video cards mostly; I have an Intel card myself. 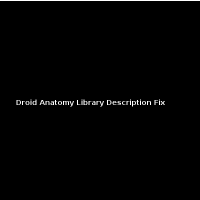 I tried a custom fix shown here on the Steam forums, but it did not work for me. I put the GLOveride files in both the main directory for KOTOR and the 'Override' directory, but neither worked. Sadly this glitch appears to also be present in Knights of the Old Republic II as well. The only workaround I can tell is to simply turn 'Grass' off in the 'Graphics' menu of the game. I am frankly shocked that both Steam and GOG.com sell a game with such an obvious and basic problem. Then again, they did not make the games so they probably could not patch them even if they wanted to. What could be causing this glitch? [Glitch] KotOR1 Bandon and Sith texture glitch mix. In the Iziz cantina on Onderon, if you choose to help Anda, Tobin should stop the fighting after one of his soldiers dies to make you the alliance offer. But instead of doing that Tobin jumps to his "Close the outer door now" dialogue line from the civil war phase of Onderon. This of course breaks the quest as present and gives you a story quest far ahead of time, and is quite frustrating. I've uninstalled my mods, deleted most of my save games just to see if a memory leak was the issue, but so far nothing has worked. I've posted on the steam forums and no one there knows what is happening and at this point I really need some help. Does anyone have any ideas for a potential fix? Hey guys. I'm experiencing a bug where a "highlight" type effect can been seen moving across textures, mainly the floor, when my character is moving. I've also noticed that the Sith Troopers don't look quite right; instead of black visors, their entire surface is similarly chrome. My game is heavily modded, so I'm not sure exactly what has caused this. I've played for around 11 hours on this save without experiencing this issue. I completely reinstalled and started adding mods from scratch trying to fix a dialogue/power description bug, only to be greeted with this upon reentry to the game. It's not as blatant as flashing/missing textures, but it's quite annoying. If you can help point me in the right direction as far as troubleshooting, I would greatly appreciate it. I don't think the bug will show up prominently in a still image, but I can provide screenshots if necessary. Visas fight not triggering, stuck on Ebon Hawk. 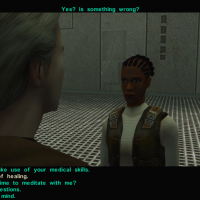 Hello, I have recently acquired KOTOR via Steam, and only a few days ago, I decided to install a couple of mods to enhance the game. I only have three mods, being Space Alex's K1 Enhancement pack (Restored Content) and Invisible head fix, and Weapon remodel/texture fixes by Fallen Guardian and Toasty Fresh. One problem I had immediately was when I was in the Black Vulkar Base, I was unable to access the Sub-level as whenever I attempted to use the security terminal, it would say there was a conversation node error. I had to resort to using a couple of warp codes to advance through the quest, yet I found myself in another rut yesterday. I'm at the Swoop Race track, and every time I get ready for a race, I get a message from someone who was added with the mod, as she would say some details about the Prototype accelerator. After she finishes, the screen would go black, but nothing happens after that. All I'm able to do is click on the screen, and a majority of the time, I end up talking to the race announcer again to plan my race. I tried to use the save editor to advance myself manually to say I won the race, but it didn't work. Is there a way to fix this without having to reinstall the game? Thanks in advance!